The highly acclaimed podcast where to buy adipex reinforces two notions I’ve tried to follow in my professional and personal lives: Every lunatic caller deserves 10 minutes of your time and so does every person – lunatic or otherwise – you meet. 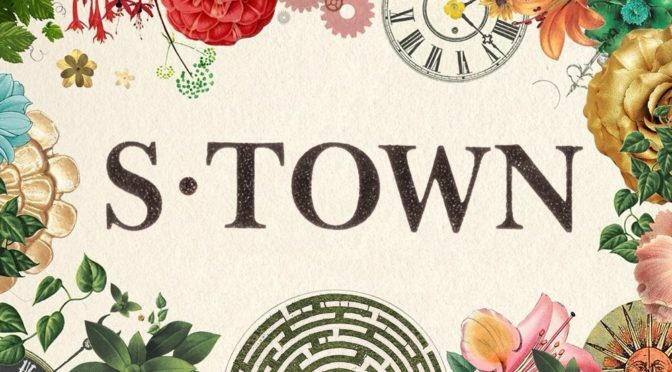 For those not familiar with “S-town,” it is the real-life story set in a tiny Alabama town where the show’s host, Brian Reed, is called on to investigate a possible murder. As if that is not weird enough, the person who invites Reed, a guy named John B. McLemore, is, well, a bit eccentric. McLemore is a Renaissance man of the highest order. He is erudite and articulate, his speech sweetened with a Southern twang. McLemore also delivers long, lucid and hilarious profane-filled rants about his crummy little town (hence the podcast’s title). It reminded me of something that I frequently preached (and practiced) in my work as a newsman: Every lunatic caller deserves at least 10 minutes. Newsrooms are a magnet for people to call or email with tips about alleged corruption or consumer rip-offs, promote their inventions or weave tales of government oppression. Some of them are crackpots or conspiracy theorists. Some have legitimate gripes that don’t rise to a news story. And then there are some where your news sense begins to tingle as they talk. Such was the case when a woman called me with a story of how she had been married to a mobster, they had kids, he divorced her and the feds were interfering with her child support payments because the ex-mobster was now in the Witness Security Program. Not only did the story check out and she had reams of documentation to back it up, but it led to a detail-rich narrative. But my first inclination was to think that this was a prank phone call. I can only imagine what that first call from McLemore to Reed was like and how the podcast journalist must have reacted. And yet Reed stuck with the story, making visits, doing interviews, gathering material for three years, leading “S-town” to become a smash hit. And it all started with an email and meandering conversations that would lead an ordinary listener to ask: Does your train of thought have a caboose? Outside of newsrooms, Reed’s patience and openness offers another valuable lesson, and that is not to be quick to judge others. I had some guy approach me outside of Penn Station with a hard-luck story of how he had just gotten out of prison and needed train fare to get to his brother’s place. I listened as he showed me his prison ID and I recognized the institution, which led to more conversation. I gave him five bucks, shook his hand and wished him well. I could have easily chalked him up as some panhandler unworthy of my time and been on my way, but I felt better for offering a few minutes of interaction. Have I been burned by other encounters? Of course. But I would still rather continue listening with my heart than my nitpicking brain.